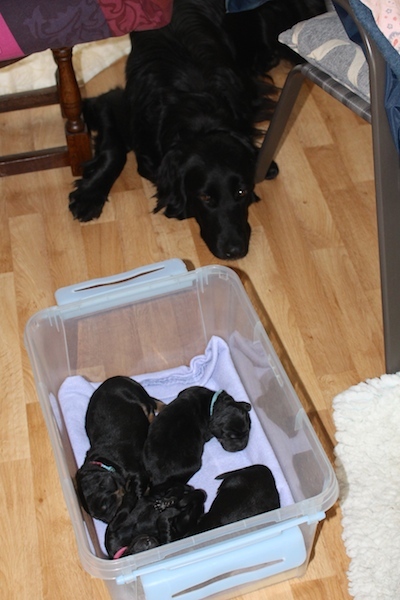 Puppies are already 5 day's today. Tara is well and looking after them like a pro, she must have her mothers gene's. Her lips are burnt already from top and tailing them. The puppies weight gain is enormous, as is normal in small litters, expect that to normalise and naturally adjust itself over the day's and weeks. For now, mama's bar is always open. 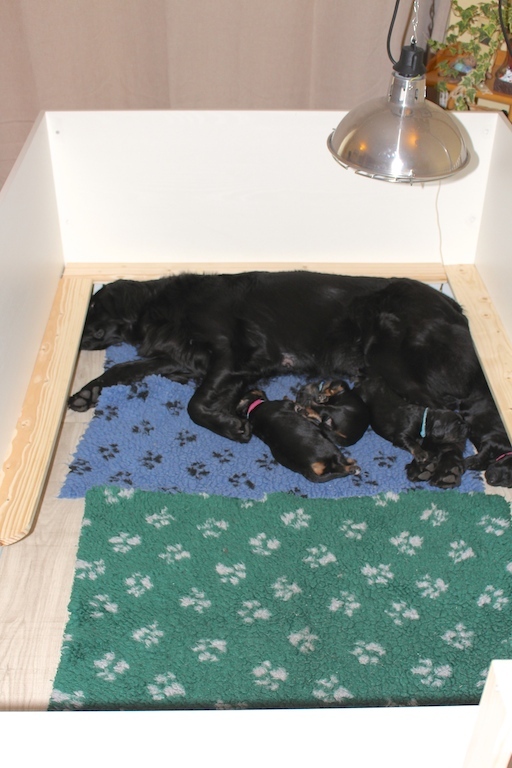 Pups are part of the family for minimum 2 months, we always like to give temporary identification names, Nest names! 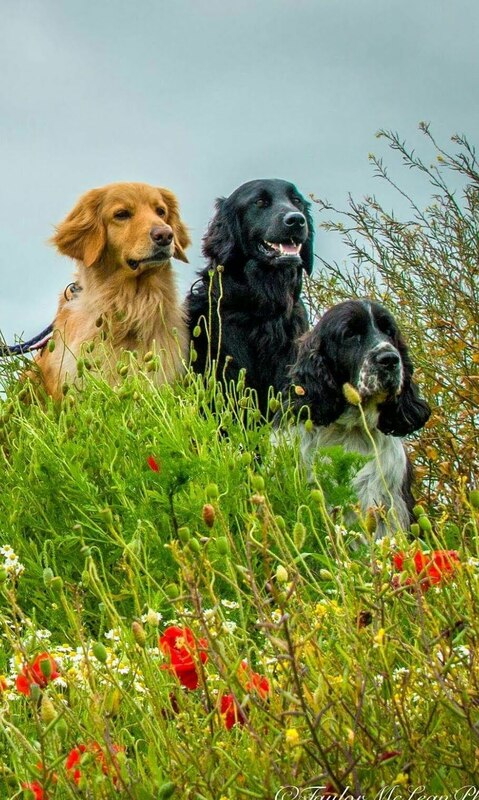 Later they will have their own Kennel Club pedigree name, which will begin with the letter S this time, but for now they are: Pinks from Sea Pink, Bunny, Daffy and Daisy, which are all simply just sweet Springtime names. Nice and easy.